the clock on your facial appearance. We offer convenient locations in the GTA with a team of doctors, RNs, and professional estheticians to ensure your beauty and wellness. Our team at Botox Toronto is well versed in all non-surgical treatments designed to enhance your beauty. One such treatment is the dermal filler Juvederm. Our team is well versed in all non-surgical treatments designed to enhance your beauty. One such treatment is the dermal filler Juvederm. Juvederm uses the naturally occurring element, hyaluronic acid to deliver a refined and subtle improvement in your appearance without surgery. Many of our neighbors in Toronto, Vaughn, and Mississauga want to feel better about how they look. They want to improve their appearance by reversing the effects of aging. So, if you are looking for a relaxed, stress-free environment where you can enhance your appearance, here is a simple roadmap to follow to get you started. 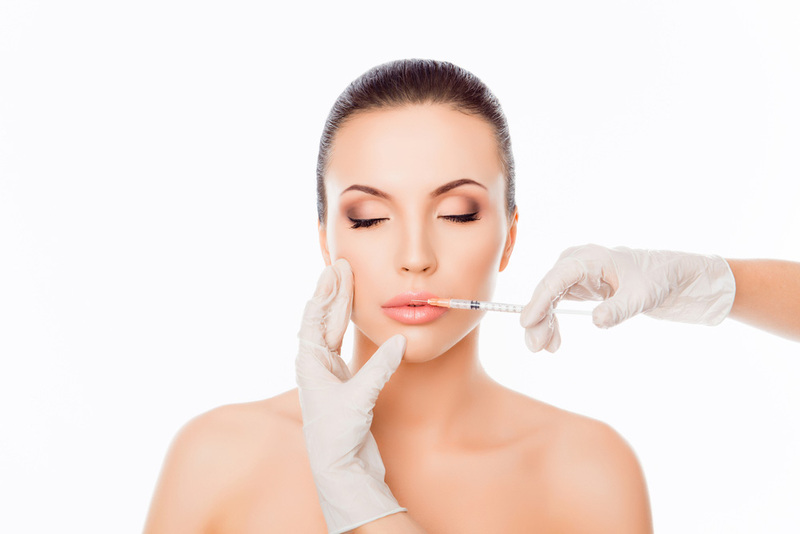 The first thing to do is schedule a complimentary consultation with Toronto Botox Clinic. You will meet with one of our medical professionals who will evaluate your situation and discuss your concerns and goals. Together, we will determine the optimal procedure required to achieve your desired outcome. You will also learn more about the treatments we offer, their effects, and the realistic results you can expect. Juvederm is a common dermal filler treatment, so it’s understandable to assume that it is suitable for everyone. 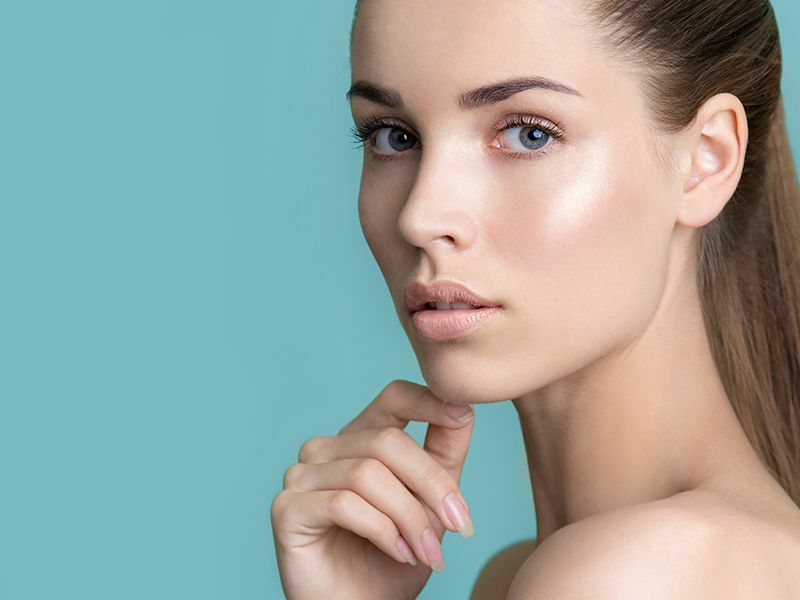 Although Juvederm can help many achieve their aesthetic goals, there are other products available which help our patients attain their desired results. Therefore, your consultation is important to make sure you are getting the best treatment. Juvederm is an amazing filler which smooths out the presence of scars and pockmarks, removes smile lines, and fills in folds and wrinkles to deliver a youthful facial glow. Juvederm can also deliver plump, and fuller lips by replacing elastin and collagen levels diminished due to age. Juvederm’s active ingredient is hyaluronic acid (HA). This ingredient is a highly effective element in skin health because of its ability to retain moisture. Your skin consists of approximately 70% water, so, it thrives when hydrated. When we apply Juvederm to your facial skin, the natural HA compound attaches itself to your skin’s existing moisture and expands it. This expansion will increase volume, causing your skin to tighten and fill out unsightly hollows, creases, and wrinkles. The result is the esthetic improvement of enhanced facial contours. This effect can reshape facial areas like your chin, jawline, nose, and cheeks. Also, it improves the moisture level of your skin. When skin ages, it becomes drier causing it to become dull and course. Elevated moisture levels will improve your complexion with a brighter, healthier, and more vibrant skin presence. Our goal as your go-to esthetic health provider is to replace lost volume and moisture with expert injections by our highly trained and skilled staff. We also want to artistically enhance facial contours to revive the beauty you enjoyed when you were younger. The naturally occurring compound, Hyaluronic acid, can be found throughout the human body in areas like tendons and muscles, cartilage, and skin. This substance is constantly in use by natural processes. Because of its natural occurrence, medicine has long been interested in its purpose for body function. Its first use was for various eye solutions including corneal transplants, cataract surgeries, and glaucoma treatment. Today it has a wide range of medical uses including its remarkable skin health resolutions. Hyaluronic acid is essential for the foundational structure of our skin. Young skin has high levels of HA ensuring elasticity and flexibility. When we age, and our skin is exposed to environmental elements like sun, wind, and pollution, HA production falters. With this reduction of HA, elastin and collagen fibers decrease causing volume loss and wrinkles. 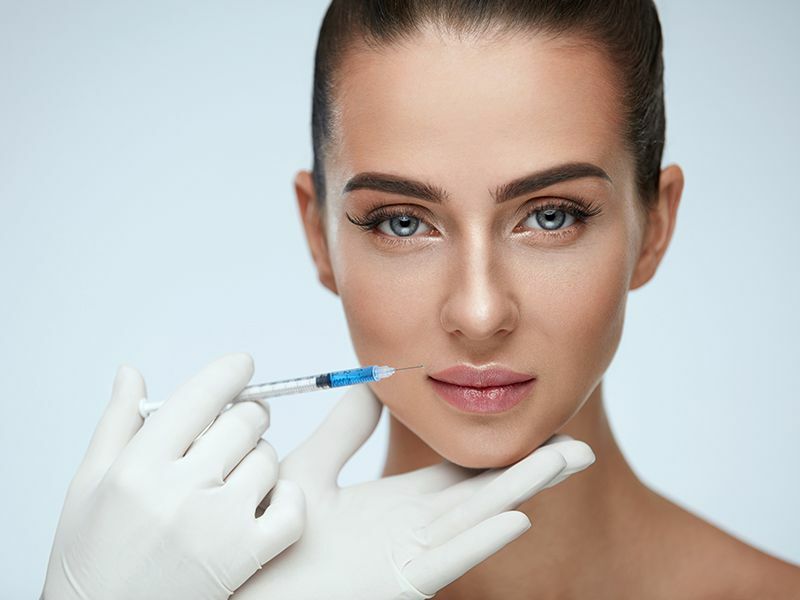 With the advent of HA dermal fillers like Juvederm, esthetic medicine can now effectively treat the effects of aging skin and revitalize skin health and beauty. Juvederm improves Facial contours, lip augmentation, and wrinkles and fine lines. Juvederm is a great HA filler which can restore elasticity, lost volume in multiple facial areas including the lips. To understand which injectable, Juvederm or Botox, is right for you, you must understand the difference between static (stationary) and dynamic (movement) wrinkles. 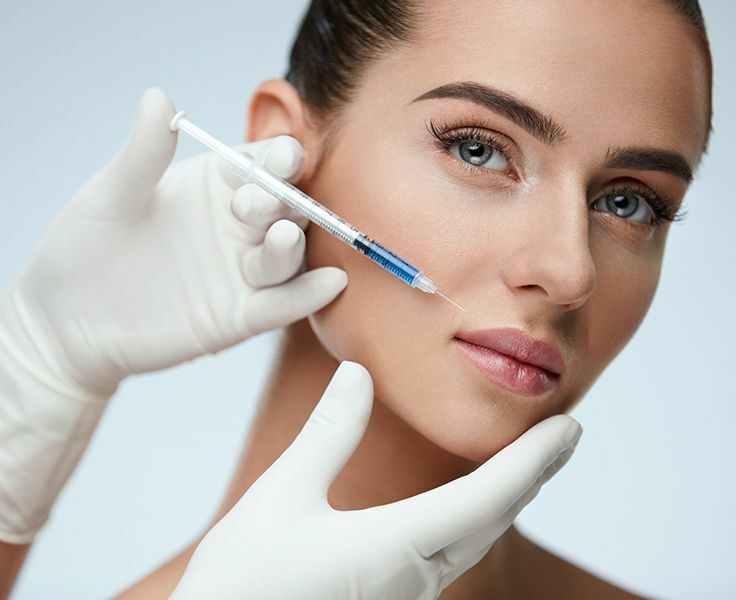 Because dynamic wrinkles are caused by underlying muscle tissue moving during facial expressions (laugh lines, frown lines, and crow’s feet), the neuromodulator Botox is a more suitable treatment. Botox is the solution because it blocks the muscle’s ability to move when our face exerts expression. When wrinkles are static, they are caused not by muscle movement, but by the loss of volume. When underlying tissue suffers a loss of volume, it needs to be replaced or filled, hence the dermal filler. Because Juvederm is an HA dermal filler, it is best suited for static wrinkles that are prevalent around the cheeks, nose, chin, and jawline. When there is the presence of both static and dynamic wrinkles, using both injectables may be the best treatment. This procedure is called a liquid facelift and is gaining popularity with our patients in the GTA. At Toronto Botox Clinic, we can assess your situation completely to determine the perfect treatment to eliminate these wrinkles, static or dynamic, and enhance your facial beauty. Our lips lose their volume and plumpness when we get older. 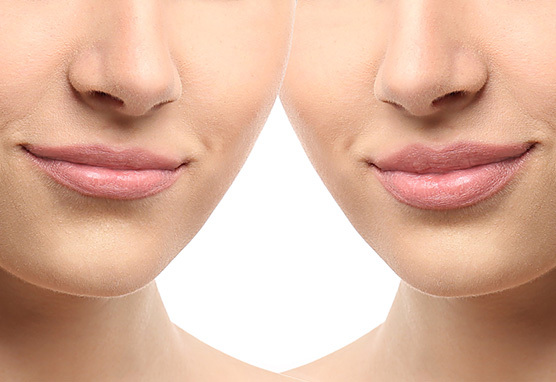 Juvederm can bring back your full lips with simple injections to increase lip volume. Juvederm is one of the more popular HA dermal fillers used by cosmetic medicine for patients who wish to restore their lips to a youthful shape and appearance. Once we inject Juvederm into your lip tissue, the hyaluronic acid enhances the fat content of your lips. Routine follow-up sessions allow you to maintain your plumper, fuller lips for a more youthful appearance. A vibrant, youthful, and brighter skin appearance is a critical facet of facial beauty. With Juvederm HA dermal filler, you will be able to achieve these desired results in a procedure which lasts just a few minutes. Your skin will be smoother and fuller, and those pesky wrinkles and lines will be resolved. Your skin will glow with increased moisture, giving you a supple skin presence which will bring back those welcome compliments from family, friends, and co-workers.